With my obsession with nail art I had to go full out Halloween, and do "scary" nails. These were just for fun and not the best they could look, but I think they're so fun because they are recognizable Halloween characters. I thought just having an accent nail of the face would not be enough, so I wanted to do the body/neck which I haven't seen when I've searched Halloween nail art. For both having a black striper is the best option, if not just use an old paint brush and tooth pick for dotting. 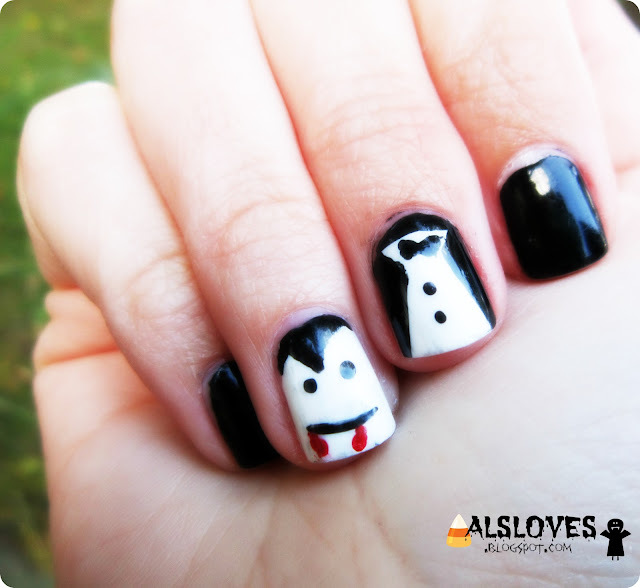 For Dracula do basic tuxedo nail, just put polish along the top, to resemble a cape and free hand the rest and hope for the best! 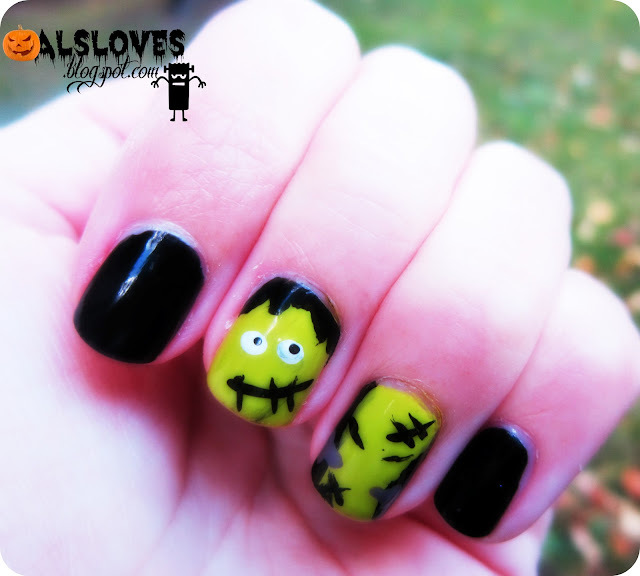 I really want to know if any of you have been into halloween nail art, and what you've done, show me on instagram or twitter: AlsLoves! These nails are so cuteee! Great nail art!